Online Slots Slots Games Directory Microgaming Shoot! 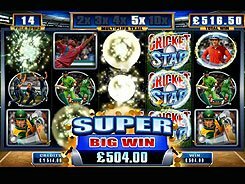 This is a 5-reel slot from Microgaming based on the same-name soccer magazine circulated in Great Britain. Shoot! 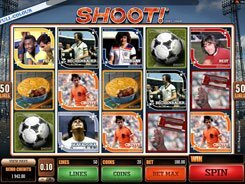 is played over 50 win lines, and the reels are populated by globally renowned soccer players like Maradona, Beckenbauer and Johan Cruyff. 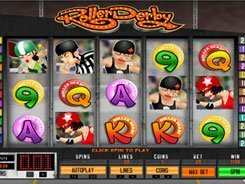 The slot is packed with special features, free spins and bonus rounds enabling you to win up to 619,000 coins. A bet comes in a range of $0.01 to $100 per spin. The multi-level Shoot! Bonus is triggered by three Bonus scatters. You are presented with a set of 12 cards depicting all-time stars. You are to pick any four cards to get decent cash prizes. Besides, a card of your choice may reveal one of the two bonus games: the Free Spins bonus or the Magazine Bonus. 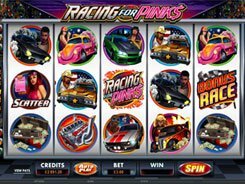 The number of free spins is awarded at random anywhere from 10 to 35 free spins. In the Magazine Bonus you will see 12 magazines that you have to keep picking until finding a red card that ends the feature. 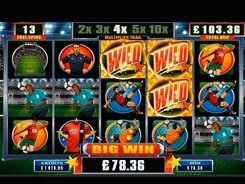 Overall, the slot will take the fancy of all footie fans and slot aficionados who like a plentiful selection of bonus games and extras.